There are so many cute amigurumi patterns out there and I think these handmade crocheted toys make great gifts for little ones. It’s so special to have handmade toys! Check out these adorable farm animal patterns! Though not exclusive to farms, this adorable Little Gray Mouse patttern would make a great start to your farm animal collection. I love the pink nose! This sweet Poncho the Donkey crochet pattern would also make a lovely start to your farm animal toys. I love his legs attached with buttons! So adorable! Of course, what farm is complete without a pig? This super sweet little Hamlet the Pig amigurumi pattern is adorable and would be a perfect, unexpected little animal friend for any child! Of course, this adorable little striped pajama-clad pig from All About Ami is also a great option for your little farm! Isn’t it sooooo cute? Need to improve your crochet skills for one of these projects? Check out Blueprint’s online crochet classes and learn at your own pace! If I had a farm, I would absolutely need a cow. I love this chubby little Petra Cow amigurumi crochet pattern from Frog and Toad Creations. We mustn’t forget the goats! Or they’ll bite our heads off! (AmIRight? Goats’ll eat anything!) Check out these sweet little amigurumi goats from PlanetJune! And a horse, of course! This little beauty (Lucky the Horse) from Little Muggles Amigurumi Design is a lovely stuffed toy pattern, even if you weren’t trying to make a whole farm worth of stuffies! Who could forget the Rooster? Maybe you’re not fancy with the crochet skills and you just want one of these adorable little crocheted roosters already made for you. Well, you’d be in luck because Brama Crochet will make this little Amigurumi Rooster in your choice of yarn colours. But if you’re more of a DIYer, you can grab the pattern from Storyland Amis and make one yourself! So many sweet farm animal amigurumi toys to crochet! Which one will you start with? Halloween is coming up, so there’s no better time to start making some adorable little not-so-frightening handmade stuffed toys! There are so many fun patterns to make! These would make great decor items to spruce up your house for the spooky season ahead. First off, check out this adorable bat pattern from the Etsy shop, Manuska. I love the lacy wings on this crocheted bat doll: such a unique feature! And she’s just so sweet worked up in the pink and grey with the little bow on her head! Not like a gross, dusty real bat at all! How are these little guys for adorable and non-scary Halloween amigurumi? Have you ever seen such cute little dolls? What a fun trio of costumed dolls. And you can get all three patterns together here. So cute. If little ghosts are more your thing, check out this adorable little ghost amigurumi pattern. So sweet! He looks like he would work up really quickly for a last minute project… or maybe some little treats for the special trick-or-treaters in your neighbourhood! Here’s another sweet little adorably innocent-looking Halloween pumpkin: it’s already crocheted up for you so you don’t have to do any work, but I’m sure you could find another pattern and modify it to make up a similar one for yourself if that was more your thing. Just because monsters are usually scary, doesn’t mean they have to be. While these crocheted monsters with an underbite definitely sport a grumpy expression, there’s no denying they’re absolutely loveable! Another adorable monster!!! This little monster-costumed doll crochet pattern would make a sweet little handmade gift for any child! Does she remind you of the little girl in Monsters Inc? Maybe not scary… definitely cute. This sweet little monster looks shy and scared himself: no way he’s scaring anyone else! This little stuffed toy would make a fetching addition to any nursery! Perfect unique handmade gift for a child! If you like these patterns, you should go pick one up from Etsy. There are many more adorable Halloween amigurumi patterns that I didn’t have time to tell you about. Etsy also has plenty of other Halloween inspiration here. Start crocheting (or knitting) today with one of these great patterns, or pin it for later! It’s hard to believe that the first Harry Potter books hit the shelves over 20 years ago! My kids are all Potterheads (well, the last one is just starting the books now, but he will be)! We love Harry Potter! There are so many great Harry Potter inspired craft projects to try. I’ve found some great ones for you today! Look at this amazing knitting pattern for this sweet Harry Potter doll by TutosDelphine! This pattern is available in both English and French and if you’re not a knitter, this is definitely a beautiful-looking pattern that will inspire you to learn! Gorgeous! I was so pleased to find a crochet pattern to make a snowy owl like Hedwig! And it’s a vintage pattern, which I think is cool. Honestly, most vintage patterns look a little wonky, IMHO, but I think this pattern looks great and would be perfect to make the Potterhead in your life their very own owl! If you’re looking to make a unique gift for the Harry Potter fan in your life, you can’t go wrong with this adorable, grumpy Mandrake amigurumi crochet pattern! Thankfully these stuffed toys will not scream like a “real” mandrake! This fall season with back to school and Halloween approaching just get me in the mood for Harry Potter. I’m so pleased to have started reading the books again with my youngest son. It’s been a while for me! I hope you enjoy these Harry Potter inspired knitting and crochet patterns! After writing up that top 10 summer Etsy picks post, I still found more adorable things to crochet for summer!!! I know it’s August and summer posts are usually written early when everyone’s excited and people are already talking pumpkin spice, but I’m still solidly in summer mode (sort of… ripping apart a bathroom and putting a new plumbing stack in is totally summer mode, right?). I still have a trip ahead of me too, so it’s not a bad idea to have a quick little project to keep my fingers busy while we travel. Check out this adorable little doll pattern. At just 10 inches tall, she looks like she will make a sweet little doll for any kid. Her beach accessories complete the deal! You can get the pattern on Etsy here. I hope you enjoy making her! If you do, please share your pictures as comments on Pinterest! Today, I have found some adorable amigurumi toys that you can make yourself! Cheap, mass-produced toys from the store have got nothing on these lovely, handmade dolls. First up, Lea: a lovely, subdued crocheted toy doll amigurumi pattern. Gorgeous and mature. Look at her hair! So great. Next up, Carl the Cactus; a 9-page printable PDF e-book with an adorable story written in the listing. Lalylala has such lovely crochet doll patterns. I can’t wait to make this one! I can’t get enough of the patchwork finishing work on this adorable crocheted monkey girl. Sweet stripes and flowers complement this pattern perfectly. I think this would make such a sweet handmade baby shower gift. Now check out this cute amigurumi crocheted bunny pattern, made with stripes and in any colour your want! I know Easter has passed, but there’s another one next year and now you have time to make one! Carmen Rent has some of the most adorable doll patterns available right now. They have this stunning “Coraline” look to them and they’re so exquisitely detailed; they would make a lovely handmade gift for an older girl who is still into dolls. This doll Azul (what a fantastic name, right?) even has a beautiful detailed little dress pattern! It’s not always easy finding handmade toy ideas for boys, but this pirate ship crochet pattern absolutely fits the bill. When I first shared it on Pinterest, it went nuts! People loved it! Fraggle Rock was definitely a favourite 80’s tv show in my house and my favourite characters were definitely the Doozers. They didn’t get a lot of screen time, but thought they were so fun! This crochet pattern is a great realistic replica of a little Doozer! Epic Kawaii is another one of my fav amigurumi designers right now. Such fun crocheted doll patterns and this super sweet little mermaid doll pattern is no exception. I love her adorable button eyes! This crocheted lion pattern would make a great addition to a circus-themed nursery or party! I love the addition of the crown accessory to make this lion king of the jungle! Go Bunny Go has lots of adorable doll patterns, where the doll is dressed up as something else. I think that’s such a fun idea! This long Nick the Teddy would be so lovely for a little one to cuddle up with at night! Another bunny pattern! I don’t know what is so attractive about bunny rabbit patterns, but I love them! This adorable crochet pattern is so simple and adorable; it would make a super cute baby gift or you can start working on it now for next Easter! I love finding unique patterns like this fantastic amigurumi parrot pattern. Bright and colourful, it reminds me of Rio and the vibrant colours of the different parrots and birds from that cartoon. This stunning doll pattern is more for making a toy to show than play with, but look at the gorgeous detail on her! I love her riding boots and hat and the adorable hobby horse is amazing! I can’t wait to try this one out! So beautiful! I’m a big fan of monster amigurumi patterns! There’s so much room for creativity because you don’t have to follow any rules! This fun orange monster with an underbite is named Webster, which I think is a fantastic name for a monster. Get the pattern here. 5 crochet animals in 1 pattern! I love the simple look of these sweet animals: cat, cow, bear, dog and rabbit crochet toy patterns all in one. Great for those crocheters who read charts! beautiful pattern! Sweet bunny pdf crochet pattern. Yvonne Bunny looks like a great rabbit stuffed amigurumi crochet pattern. Perfect for spring babies or Easter! He’s SOOOOOO CUTE!!!! What an adorable crochet puppy toy! Named Boris! Such a cute amigurumi dog pattern to DIY! One of my favourite crafts is crocheting. I learned to crochet from a friend in college, even though my mom had tried to teach me when I was a little younger. I don’t know what was wrong with me, but I kinda see the same spirit in my daughter, so maybe it’s a weird I-don’t-want-my-mother-to-teach-me-anything trait that runs in our family. Sorry, mom! I love ya, I was just weird. My first project was a scarf, the gauge of which was tight beyond belief, but I got that sorted out and then crocheted a large blanket in a matter of days for my friend in time for Christmas. I’m pretty sure I just parked myself on the couch at my parents’ house when I was home for Christmas and crocheted for three days straight. Later I learned how to make mittens from another friend and the rest is history, I guess. Once I learned how to increase and decrease, I had the basics for AMIGURUMI! It’s so fun! You can make stuffies! And potatoes with eyes! (haha). Since then I have made a lot of fun stuffed things. Like this banana. Lately, I have been scouring the internet finding the best and cutest amigurumi stuffies to crochet. (Check out my amigurumi Pinterest board!) As much as I sometimes try to make up my own patterns, I’m not really a pattern writer (maybe one day…) and the time it takes for a pattern writer to test and create a new pattern is definitely worth the cost of some of the paid patterns available. Here are some of my favourites I’ve found recently. Look at this amazing owl pattern! I love the detail on the belly (breast? what do you call that part of a bird?) So sweet. Owls are great. This pattern is a free Ravelry download. Cuddle Me Fox — and check out this tiny fox pattern! So cute! Foxes are really trendy right now and this little guy looks like he’ll come together quickly. This little guy is available on amigurumi.today as a free pattern. Boxy Bear is another free pattern for a new crocheter. Nice straight seams. I love the way he comes together. Really cute. Isn’t this little Monkey pattern cute? This pattern is available from allaboutami; it was published last year in honour of 2016, the Chinese year of the Monkey. If you’d like a nice printable version of the pattern, it’s available for a small fee here. Tourist Giraffe This little giraffe is named Kenny and he comes with a camera!!! How cute is that? I love this little giraffe! He’d make a great gift to crochet! That’s my quick little round-up of some of my favourite stuffed animals to crochet. Pick one and find your hook and happy crocheting! Hi! I’m all sharing the news of crafting a good life. Life is good; let’s make it better. Together. Disclaimer: Some of my posts contain affiliate links, which earn me a small commission if you purchase through my link. You don’t pay extra and your purchases help support this site. Thanks! I love crafting, but I am also an internet nerd! So, I end up spending more and more of my time finding awesome things to make than I spend making them. 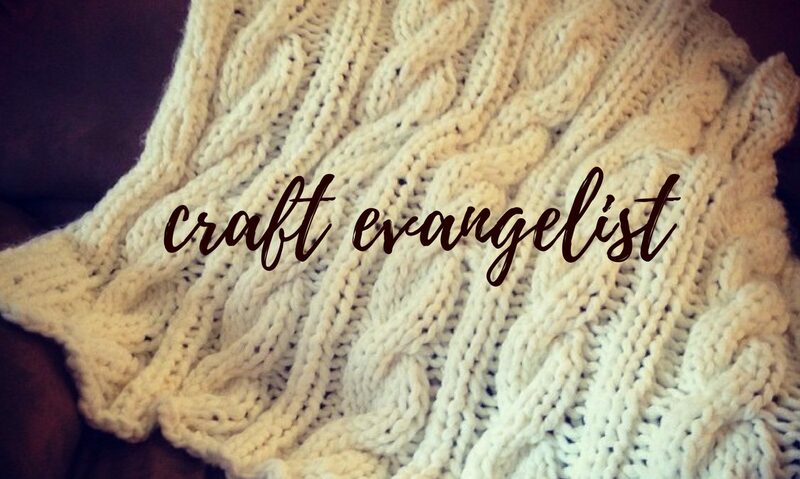 I hope you enjoy my sharing the good news of crafts!